Brother and sister duo, Caleb and Megan Hutton started playing music together as Instant Rivalry (IR) while attending high school. The Highway – a track off their first album – remained on the independent charts for nine weeks, peaking at number two and received international radio play. Since their last album, IR has toured Canada (opening for acts such as Tanya Tucker, Clint Black, Prairie Oyster, The Trews, Jefferson Starship, Honeymoon Suite, Tyler Shaw, Marshall Dane and Sarah Cripps). They are often in Nashville, TN to perform and write songs, as they are active members of the Nashville Songwriting Association International. Both Caleb and Megan are the musical composers, lyricists and producers behind Instant Rivalry’s music. 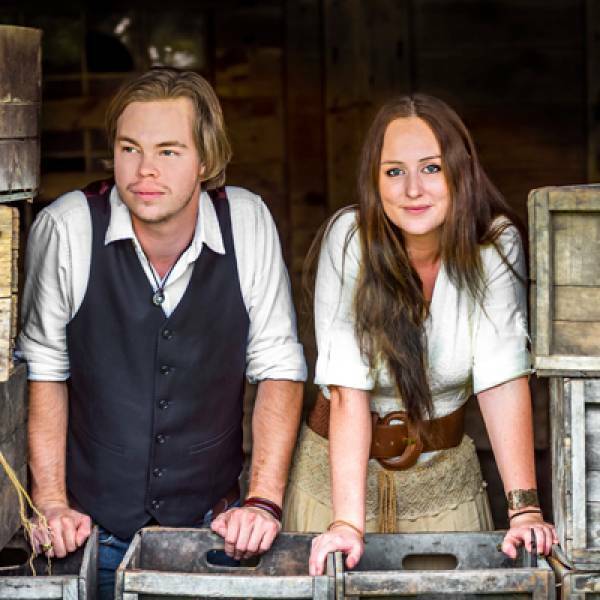 Instant Rivalry won The Next Country Music Star Talent Search 2015. Trevor Lammas, of Sony Music Canada, called their song, Little Old Farmhouse, one of the best songs he had ever heard. Bruce Sutton, the stage manager of Havelock Jamboree, said you better enjoy seeing them now before you have to pay big bucks to see them again.